ODROID-XU has 2 x SuperSpeed USB 3.0 interfaces and 4 x HighSpeed USB 2.0 interfaces. I want to introduce the USB 3.0 feature in ODROID-XU. There is a standard A-Type 3.0 host connector and a micro A-B OTG 3.0 connector on the board. you can use 2 x USB 3.0 ports simultaneously with a Micro A to Standard A cable. This item is available in our e-store. We performed a benchmarking test with our USB3.0 to SATA3 HDD/SSD interface kit. This is the PCB of USB3.0 to SATA3 HDD/SSD interface kit. Tested SSD is OCZ's Vertex3 128GB SSD. We also made a same test with USB 2.0 port. The throughput of storage on USB 3.0 is about 7~8 times faster than USB 2.0 in the real world. We also tested our USB 3.0 to Gigabit Ethernet adapter performance. This iPerf test shows about 60MByte/sec transfer rate. It is 5~6 times faster than the 10/100 Ethernet speed. I think we can improve the device driver and get more speed up to 80~90MByte/sec. Let's enjoy the SuperSpeed USB 3.0 performance with our tiny ARM embedded platform. Exynos-5410 which has ARM��s big.LITTLE architecture with Cortex-A15 Quad + Cortex-A7 Quad and Samsung��s LPDDR3 2GB. Every developer wants to know the performance of new platform. The Samsung Exynos5 Octa SoC is mighty competitive as shown by following initial benchmarks compared to a Calxeda quad-core Cortex-A9 SoC, the TI OMAP4460 dual-core A9 1.2GHz SoC, and an Intel Atom D525 1.8GHz dual-core CPU plus Hyper Threading. The first tests were done with Ubuntu 13.04 Linaro(13.07) server version and Kernel 3.4.5 to feel the speed of ODROID-XU. We used the famous Phoronix test suit for benchmarking on Linux. Let��s start the bench marking with NAS Parallel Benchmarks which were developed by NASA. The NAS Parallel Benchmarks (NPB) are a small set of programs designed to help evaluate the performance of parallel supercomputers. The benchmarks are derived from computational fluid dynamics (CFD) applications and consist of five kernels and three pseudo-applications in the original "pencil-and-paper" specification (NPB 1). The benchmark suite has been extended to include new benchmarks for unstructured adaptive mesh, parallel I/O, multi-zone applications, and computational grids. Starting with the scientific NAS Parallel Benchmarks test cases, the ODROID-XU with its Exynos5 Octa totally slams all of the x86 and ARM comparison hardware. The Intel Atom D525 at 1.8GHz that is dual-core plus also has Hyper Threading was also beaten by the ARM Cortex A15 quad core. The ODROID-XU system had greater performance of 7-Zip compression. The x264 video encoding also was found best on the ARM Cortex A15 Quad. It is getting closed to a real time encoding system. The Smallpt is a global illumination renderer. It is 99 lines of C++, is open source, and a famous benchmarking tool. Less is better ! ODROID-XU is better. The Samsung Exynos5 Octa performance is quite compelling. Being found in a $149 ODROID-XU that can be loaded with Android or Linux distributions is also a very attractive bargain. For those looking to get into ARM Linux/Android development, the ODROID-XU will prove to be a world��s best performance. We also want to introduce a real time energy monitoring feature. When the system performance is increasing, the power consumption and heat are also increasing. So we need to find the best balanced points of performance vs. low-energy racing. ODROID XU+E model has 4 separated current/voltage sensors between PMIC and SoC to collect the power consumption of A15 cores, A7 cores, GPU and DDR3-RAM in parallel to optimize system energy consumption. The real time monitor window is always visible if you enable the option. The window is transparency and overlay display. It is showing the CPU/GPU DVFS data, temperature, CPU load, voltage, current, power and other valuable information for system developers. If you are a professional developer, you must purchase ODROID-XU+E instead of ODROID-XU. You will meet the easy way to create energy efficient OS and application software. Enjoy this video how we can monitor the performance and the energy consumption. How to install update image for Android Beta 1.7 or higher. 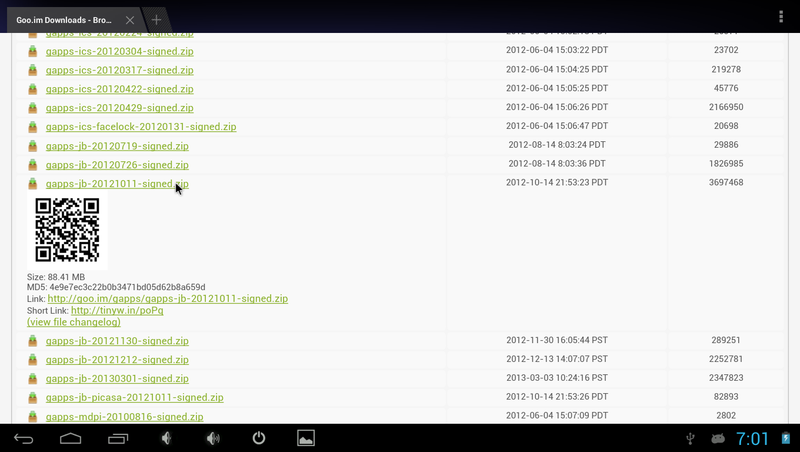 We released Android Beta 1.6 (Jelly Bean) for ODROID-X/X2/U/Q/Q2 24-April-2013. 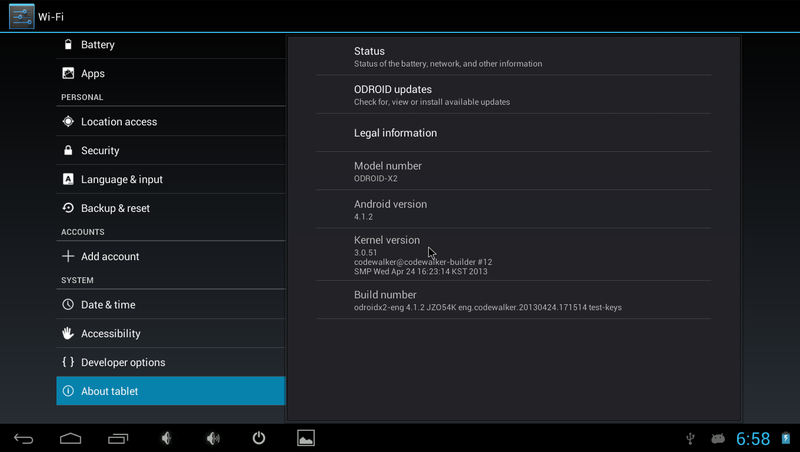 This version includes the UPDATER feature which support the OTA like system software installaion/upgrade. It will reduce the pain of flashing or anoying ADB method. Here is a brief instruction to install the latest OS image. The Build Number has a date code. It must be something of April-2013 or later. This ODROID-X2 image is 24-April-2013. 2. Run Web browser in ODROID and visit "http://dn.odroid.com/Android_Beta_1.7/" home page. If you are using X2 with eMMC, click X2 and eMMC directory. 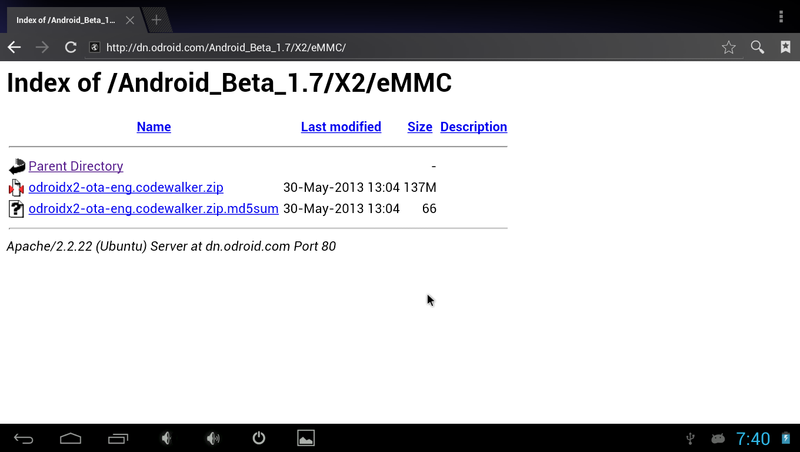 Click "odroidx2-ota-eng.codewalker.zip" to download it. 3. Download a file manager from this link and install it. If you already installed, you can skip this process. 4. Creat "updater" directory in sdcard and copy the "odroidx2-ota-eng.codewalker.zip" from "Download" directory to "updater" directory. If you already have the "updater" directory, you don't need to make it. 5. Select Settings -> About tablet -> ODROID Update. 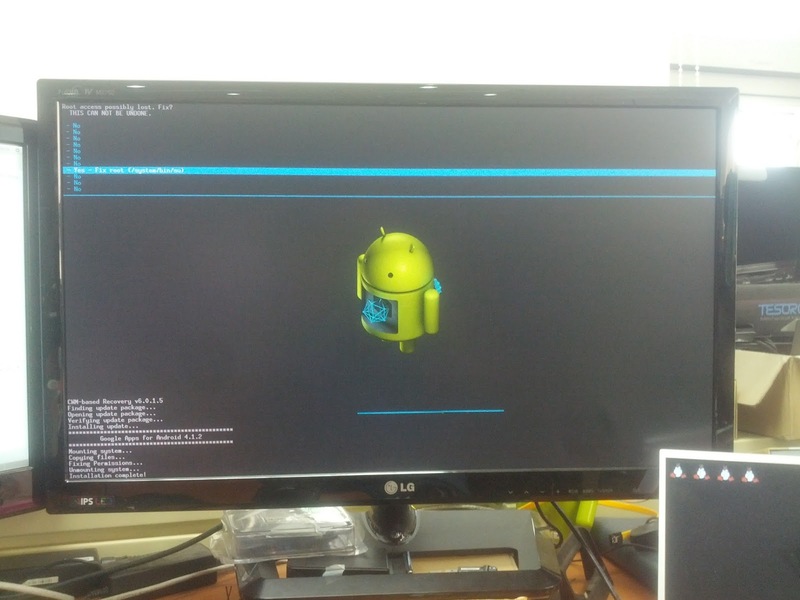 Choose the "odroidx2-ota-eng.codewalker.zip"
And it will reboot and start installation of the OS image. 6. If you select "Update", it starts the OS update. 7. You need to reinstall the GMS again due to system partition has been changed. Here is the instruction of GMS installation. 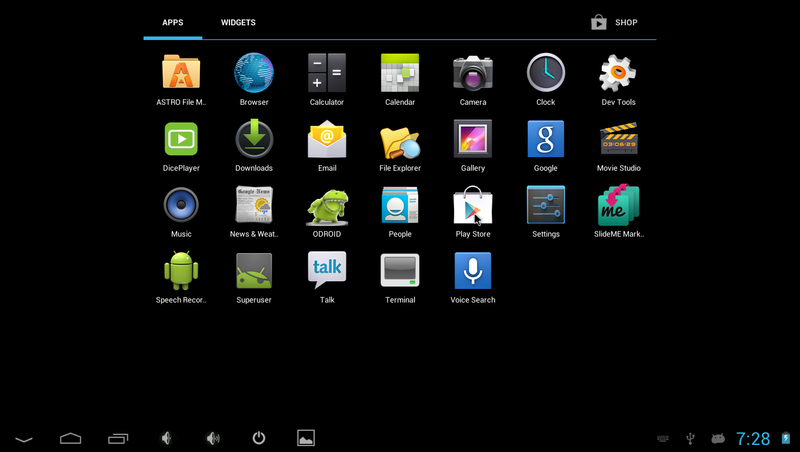 How to install the GMS apps for Android Beta 1.6 or higher. Here is a brief instruction to install the GMS(Google Play, Gmail and other Google Mobile Service applications). The Build Number has a date code. It must be something of April-2013. This ODROID-X2 image is 24-April-2013. 2. Run Web browser in ODROID and visit "http://goo.im/gapps/" home page. Click "gapps-jb-20121011-signed.zip" to download it. 4. Creat "updater" directory in sdcard and copy the "gapps-jb-20121011-signed.zip" from "Download" directory to "updater" directory. 5. Select Settings -> About tablet -> ODROID Update. Choose the "gapps-jb-20121011-signed.zip"
And it will reboot and start installation of GMS apps. 6. If you select "Update", it starts the GMS installation. Some users raised an issue about "Pinch zoom without touchscreen". As you know well, ODROID-X,X2,U2 don't have multi-point touch screen while Q2 has it. So there is no way to implement the pinch zoom feature. But we found a brilliant idea and we are implementing it now. If you click the scroll-wheel on your mouse, the mouse cursor shape is change to "Magnifier" from "Arrow". When you scroll up the wheel in Magnifier mode, Zoom-out events are generated via multi-touch emulator. When you scroll down the wheel, Zoom-in events are generated. If you see this video, you can feel how this new feature is great !! This implementation is still Work-In-Progress. We will fix some bugs and improve the usability. We are trying to release a new Android update by end of May.